Feeling lucky? Whether you are Kermit the Frog or throwing a St Patrick's Day party, have these lights on hand to add the final touch to your event. Planning a green Christmas tree? All-green is a popular Holiday theme and mixes well with all colors of metallic ornaments. Don't forget to order an extra couple of strings to light the center of your tree -- we call it "lighting the core" and you can read more about it here. Red and green have always been traditional partners for December decorations and using both mix well with traditional and vintage ornaments. 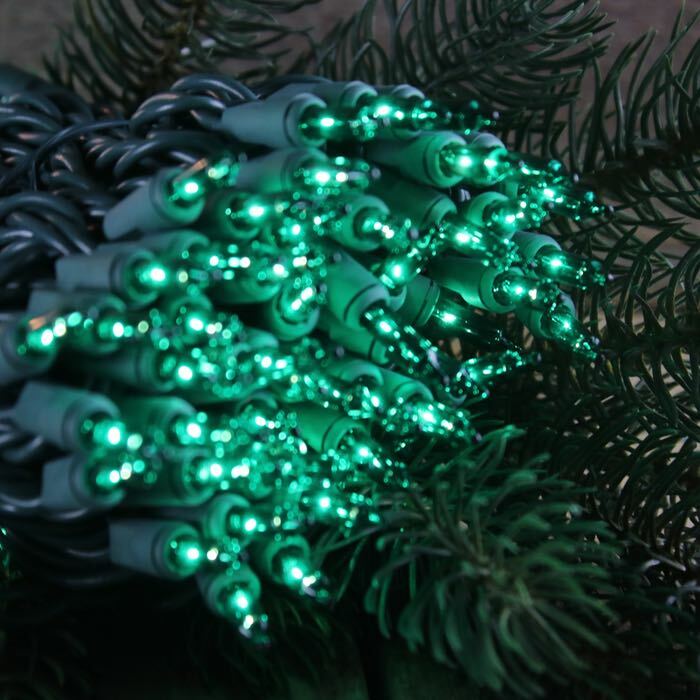 These green Christmas light strings are constructed with 50 bulbs spaced 4 inches apart and are just over 17 feet long. Don't forget to order enough lights to accent your garland and any wreaths where you have access to a 120-volt outlet. I bought this item to create an effect like the green color comes from the center of the Christmas tree by installing the garland along the trunk of the tree and also to use it as plugs for rotating ornaments hanger in my Christmas tree.